This page details a full list of complementary therapies, including a short snippet about specific therapies that are available at The Riverside Natural Health Centre in Nottingham. Follow respective links for more detailed information. The Riverside Natural Health Centre offer a wide range of complementary therapies that cater for physical and mental well-being. Statistics tell us that Complementary and alternative medicine (CAM) has grown rapidly over the last two decades With more and more people looking to find alternative therapies that can enhance physical and emotional health. For those of you who are trying to find a more natural approach to improve your health. Here is a list of complementary therapies that can be used to help with physical or psychological issues. Look no further for Hopi Ear Candling in Nottingham. Hopi ear candles are a popular alternative-medicine practice which is also known as Thermo Auricular Therapy. Hopi Ear Candling is a gentle non-invasive treatment of the ears using Hopi Ear Candles. The candles are an effective treatment used to help with deafness caused by excess wax, congested sinuses, tinnitus, rhinitis, glue ear, headaches and migraines. Looking for Hypnotherapy in Nottingham? Hypnotherapy is a psychotherapy that uses the power of positive suggestion to bring about subconscious change to our thoughts, feelings and behaviour. A Hypnotherapist uses verbal communication to help direct a patients imagination in such a way as to bring about intended alterations in feelings, thoughts and behaviour. Why not try our Indian Head Massage. Using massage techniques, your therapist will gently massage your head, neck and shoulders to release stress and tension which is often stored in these areas. Indian head massage Nottingham is a therapy that will make you feel very relaxed, and sometimes make you feel a little light headed, so it is advisable to drink plenty of water to help your body flush out the toxins. Do you require assistance with a maintenance and support program for Injury Rehabilitation in Nottingham? Doug Wroe, Dalton Powell and Katie Price work with the “anatomy trains” in your body which improve stability and co-ordination and resolves long-standing compensations in postural and movement patterns. Working with your injury rehabilitation therapist both inside and outside of the treatment room will help you to make a good recovery. You can book at the Riverside for Kinesiology in Nottingham. Kinesiology has a significant impact on a range of health and well-being issues. A muscle-testing therapy that tells the Kinesiologist what your body needs in terms of nutrition, supplements, vitamins, minerals and more. It’s similar to having a diagnostic test on your body, much like an MOT on your car. Kinesiology works on all levels of your health, physical, psychological, emotional and nutritional which helps you achieve better health & greate. Are you suffering with Lympdoedema? The Riverside offer Manual Lymphatic Drainage in Nottingham, Manual lymphatic drainage (MLD) is a specialised massage technique that should only be practised by trained therapists. A course of MLD may last a few weeks and can be repeated again in the future.Deep breathing exercises are an important part of this treatment and are used in combination before and after the treatment. MLD can be carried out for up to an hour a day or three times a week. A course may last for three or more weeks and can be repeated every three months or every year. Are you looking for nutritional support? Nottingham Nutritionist, Cara Wingar offers Nutritional Therapy in Nottingham at the Riverside Natural Health Centre. Cara is a fully qualified Nutritional Therapist who is registered with FNTP. Good nutrition is obtaining the right amount of nutrients from healthy foods, in the right combinations. Nutritional Therapy looks at the diseases that can result from malnutrition and the role food plays in chronic disease. Do you need to relieve tension or treat illness with Reflexology in Nottingham? When you book a Reflexology treatment at the Riverside Natural Health Centre in Nottingham, the reflexologist will begin with a consultation. This helps the reflexologist gauge whether the treatment is suitable for you and enables them to create a personalised reflexology treatment plan. Occasionally your GP’s permission may be needed as a precaution before treatments can begin, especially if you have diabetes. Looking for a non-invasive and detoxifying treatment? Visit the Riverside and try Facial Reflexology in Nottingham. It combines deep tissue facial massage techniques with the manipulation of the facial reflex points to help improve overall wellbeing, and also leaves you with a radiant, glowing complexion. Facial muscles are relaxed and your skin can be tightened by improving muscle tone giving you a more youthful appearance as well as feeling relaxed..
Are you considering getting help to conceive with reflexology? Book a free consultation for Fertility Reflexology in Nottingham. The Riverside Natural Health Centre have two Fertility Reflexology Practitioners who are fully qualified and experienced in providing reflexology for infertility. Fabiana Leda and Sharon Cooper provide a fertility consultation to help you better understand the benefits of reflexology and fertility. Considering the popular Japanese form of healing? Book an appointment for Reiki in Nottingham at the Riverside. Reiki can be used for many ailments such as:- reducing anxiety and stress, relieving pain, headaches, stomach upsets, back problems, respiratory problems, PMT, menstrual problems, and sinus problems, low moods, self- confidence, fibromyalgia, ME, depression, pain management, dealing with life’s challenges, spirituality and much more. Considering Sports Massage therapy? The Riverside offer Sports Remedial Massage in Nottingham. Sports Massage therapy is not just for sports men and women, anyone can benefit from sports massage therapy and injury prevention. It is sometimes known as deep tissue massage. Do you suffer from: sciatica, migraines and headaches, shoulder or neck pain, upper and lower back pain, general aches and pains, emotional stress, muscle injuries? Treat yourself to a relaxing Massage therapy. Try the popular Swedish Body Massage in Nottingham. 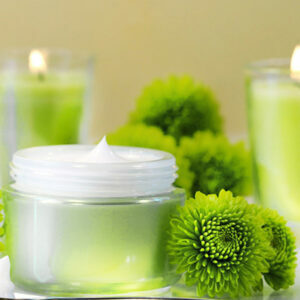 Your massage therapist may use oils and creams to gently nourish and massage your skin. Using massage techniques on the body which your therapist is trained to use your therapist can assess the areas where your stress and tension exist and gently massage those areas to help release the pressure. When people suffer from mild pain, over-the-counter medications are a popular form of pain relief. The following list includes Complementary Therapies to help with Pain Management. You may be trying to find an alternative therapy to help manage mild pain, or looking to relieve chronic pain with an alternative therapy. Relief may be found by using a combination of treatment options. Are you looking to manage pain with Acupuncture in Nottingham? Acupuncture for pain management is becoming a popular choice for many people who want to get help with managing pain.Here at The Riverside Acupuncture Pain Management Clinic in Nottingham, we can help manage pain related conditions. Are you considering Cupping Therapy in Nottingham? Cupping Therapy has many benefits. It can help improve sleep, stress and body tension, circulation, frozen shoulder and muscular aches and pains. It also helps to repair muscles after strenuous activity and for general well-being. Do you require a maintenance and support program with Injury Rehabilitation in Nottingham? Trying to work through pain is not recommended, as pain is your body’s way of telling you to stop or slow down. If you choose to ignore this, healing can be impaired and it may take you longer to heal. Let the Riverside assist you with Rehabilitation For Injury and pain relief. Try Sports Remedial Massage in Nottingham at the Riverside. Sports massage therapy does not follow a routine. Each treatment is individual to your needs using massage techniques applied by a qualified sports and remedial massage therapist, sometimes known as Remedial Soft Tissue Therapists. There are a variety of complementary therapies that could give you a helping hand to start a family. Scientific evidence shows that acupuncture can help boost fertility. The Riverside offer a range of Fertility Boosting Treatments with a proven success rate. We were pleased to hear about Baby River, named after successful Fertility Acupuncture at Riverside Natural Health Centre in Nottingham. The Riverside offer Fertility acupuncture in Nottingham. Our in house fertility acupuncturist practitioners are very knowledgeable in procedures involving IVF and medications and therefore specialise in an area of acupuncture which focus on the reasons why you may be having trouble conceiving. Fertility acupuncture can assist in increasing fertility by reducing stress, increasing blood flow to the reproductive organs, and re-balance your energy flow. Visit the Riverside for Female Fertility Acupuncture in Nottingham. The first consultation includes taking a full case history. This will include information such as your menstrual cycle and any confirmed medical diagnosis as well as any relevant blood test results. The consultation will also include guidance on basal temperature charts, nutrition and supplements. Administering Acupuncture will work alongside your natural cycle as well as balancing the emotions. Do you require more information about Complementary Therapies in Nottingham at The Riverside Natural Health Centre? Fully trained therapists are at hand to provide help and advice about any of our therapies. Maybe you have a question about a certain therapy, or would like more information about booking a appointment.